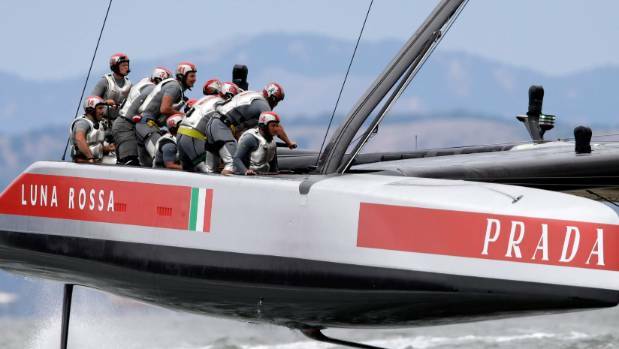 Luna Rossa launches the “New Generation” project, a program involving a selection of the most talented and promising young Italian sailors in a series of training and observation sessions. The young sailors will rotate throughout the next months in Cagliari alongside more experienced Luna Rossa team members - with a record of participation in previous America’s Cup campaigns - who will help them grow. The aim is to expand the Luna Rossa sailing team and develop a new generation of top level sailors, whilst retaining Luna Rossa’s recognized level of crew excellence. Intensive training sessions on the water and ashore, development of “feeling” and intuition, boat handling and tuning, tactics and strategy master classes are already underway. Commitment, teamwork and stress management will also be considered as forming part of the training and of the final evaluation. As emphasized by Max Sirena, Luna Rossa Skipper and Team Director: “Luna Rossa has always considered the development of a generation of young and talented sailors a priority. Italy has a great potential and our goal is to expand the pool of home-grown sailors by involving the most qualified and promising young Italian talents in the team “. Luna Rossa also announces the entry in the team of two highly qualified and talented sailors: Shannon Falcone – two times America’s Cup winner over six challenges, two Volvo Ocean Race campaigns, Transatlantic, Transpac, Bermuda and Hobart Race record holder - and Pietro Sibello - two Olympic participations, European Champion and three Bronze World Medals in the 49er class and now at his second America’s Cup challenge with Luna Rossa - will both have an important role as sailing team members, observers and coaches in the “New Generation” project.